The Bullmastiff is a powerful dog breed with a broad wrinkled head and a tapering tail. Alert, strong and protective and with endurance and stamina, the Bullmastiff is a natural guardian of the home and family and will not back down from a fight. He is loving toward his family and normally very gentle, cheerful and calm. Protective and alert dog breed who makes a good watch and guard-dog. Devoted and loyal, the Bullmastiff loves human attention. He is tolerant of children. Intelligent, good-natured tempered, extremely powerful. Bullmastiffs can be aggressive with other dogs and are reserved with strangers. 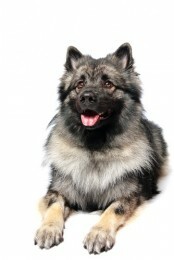 You only need to brush and groom once a week since its fur is low maintenance being short, smooth and dense. Hip dysplasia, cancer, tumors, and gastric torsion or bloat (twisted stomach). Bloat is a health issue to most dogs, being the second largest killer of dogs other than cancer, but Bullmastiffs can be particularly susceptible to it because of their deep chests. Other health concerns include elbow dysplasia, eye problems, cardiac disease, hypothyroidism, kidney problems, and panosteitis (bone disease). Diet and daily exercise are need to be balanced to prevent obesity. Bullmastiffs need moderate daily walks or a play session and lot of running space. Obedience training should begin at a young age. A Bullmastiff is sensitive to the tone of your voice. They will do best with fair, stable and a consistent approach to training. They are usually very obedient.